This past weekend was the first without a major Korean release in some time and also heralded the entry of the year's biggest film to date Hunger Games, which has already accumulated over $400 million worldwide. Surprisingly, business was down 25% from last weekend, though it was up 50% over last year as 1.5 million tickets were sold. The Korean market slipped slightly to 45%, the first time it has gone under the 50% threshold since mid-January, though it still bested Hollywood. The surprise number one was Architecture 101 which claimed its third straight victory with a resounding 454,154 admissions, off a mere 20% despite heavy competition. With over 2.3 million tickets sold already, the three million mark is all but assured and if it stays competitive it will look to overtake Unbowed's 3.4 million total to become the year's third-highest grossing film. Hunger Games just posted its third straight win at the US box office but in Korea its result was disappointing as it took only 273,598 admissions and failed to stop the streak of domestic first places finishes which now stands at 11. With a lot more big releases slated for the next few weeks don't bet on this hanging around either, it will likely take a big tumble next weekend. Staying strong at number three was the French hit Untouchable which had a very healthy 30% drop for a 216,085 weekend. It is now well over the one million mark and may have another milestone ahead of it. Korean comedy Over My Dead Body may not have had a brilliant start but it posted a better-than-expected 195,313 in its sophomore stint as it was off only 35%. At this rate it should cross the one million mark which will certainly save it some face. Who knows, maybe word of mouth will settle in. Wrath of the Titans followed its disappointing start with a huge 70% drop as it fell three places with its 163,299 take. However it will likely have just enough gas left in the tank to make it over the one million mark. James Cameron's 1998 megahit Titanic debuted with its 3D makeover to the tune of 119,705. This result is not as impressive as the brisk business it did in its native market this past weekend but still a decent result for a rerelease. March hit Helpless is quickly making its way down the chart after a very strong couple of weeks. It added another 27,076 over the frame and may be gone from the chart next week. It will likely fall just short of 2.5 million but it has had a great run. Hollywood remake Conan started its run with a disastrous 18,998. 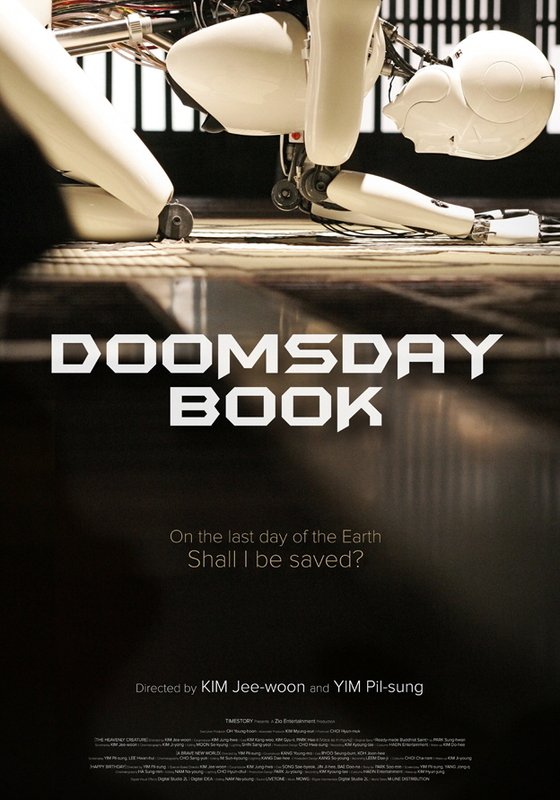 The film was a big flop when it opened last August in the US and the elapsed time as not been kind. This will probably be the film's only chart position. Russian animation Space Dog 3D slowed 60% to 4,690 as it winds up its decent run. Korean thriller The Scent opened in very limited previews for 4,479 to squeeze into number 10. 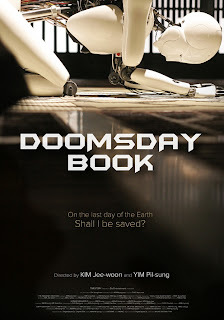 Next weekend should be interesting as two Korean films open, the aforementioned The Scent and long time in the making Kim Jee-woon and Lim Pil-sung omnibus feature Doomsday Book. Also being released will be Battleship, the Peter Berg-directed Hollywood Blockbuster based on the popular game. Battleship had a premier event in Korea with cast and crew in attendance and will likely launch the summer season (which keeps arriving earlier each year). It should take first place as I don't think either of the new Korean releases will open to huge figures. However, if it misses its chance, Architecture 101 probably won't be too far behind.